The panel's members — Santiago Canton of Argentina, Irwin Cotler of Canada and Manuel Ventura of Costa Rica — called for a formal investigation into the charges and asked the Secretary General of the Organization of American States (OAS), Luis Almagro, to submit their report to the ICC. Irwin Cotler is a member of UN watch a right wing group that has targeted socialist countries and countries that have criticized Israel. Venezuela has been their target since at easy 2012 when Caprile, a Jewish opposition Leader ran against Chavez. The head of the group is Hillel Neuer a lawyer from Montreal. The group was also concerned about Chavez protesting against Israeli treatment of Gaza and in 2009 and against the expelling of the Israeli embassy. On Chavez death, Hillel Neuer, the head of UN Watch, a pro-Israeli front group referred to Chavez, internationally, as a “symbol of evil;” and decried that Chavez was given a one-minute of silence tribute at the UN Human Rights Council. UN watch has targeted President Chavez over the years and has had an inordinate amount of access to the international media.. Disturbingly one of UN Watch`s directors is another Canadian, MP Irwin Cotler. The NGO, UN Watch, targets specific states like Venezuela and leaders, such as Hugo Chavez and ignores the failings of other states, such as the US, Canada and Israel. "The Trump administration’s financial sanctions—more than all previous destabilization efforts, which were significant—have made it nearly impossible for the government to get out of the mess without outside help. Case in point: this Sunday’s presidential elections. Opposition leader Henri Falcón— a former governor and campaign manager of the opposition’s 2013 presidential candidate, Henrique Capriles—is running as an independent candidate against Maduro and three other candidates. Several major opposition parties are boycotting the election because, among other reasons, they object to the early date of the elections, which they say leaves them insufficient time to organize a strong campaign—the electoral authority did, however, agree to a one-month delay from the initial date. Two opposition parties, First Justice and Popular Will, were also unable to register candidates because they allegedly didn’t meet the formal requirements to do so." Petro’s anti-corruption platform has turned him into a real contender in this election. But he has the misfortune of running at a time when neighboring Venezuela is imploding. More than 200,000 Venezuelans streamed into (and through) Colombia last year to escape crushing poverty and lack of basic goods and medicines, a six-fold increase from the year before. The perpetually looming collapse of Venezuela is a constant reminder to voters of Petro’s former admiration of the late Hugo Chavez. As Venezuelans go to the polls Sunday, the U.S. is working to disrupt the re-election of Nicolas Maduro and rollback left-wing governments in the region, reports Roger D. Harris. 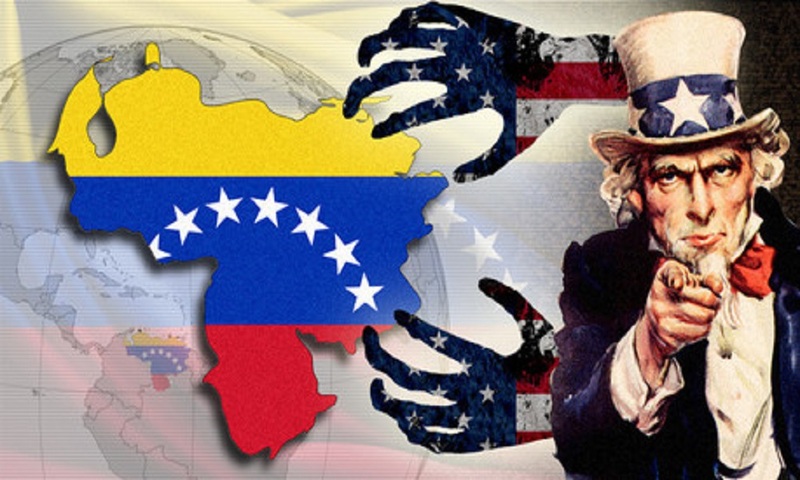 U.S. antipathy towards the Venezuelan government started with the election of Hugo Chávez in 1998, followed by a brief and unsuccessful U.S.-backed coup in 2002. Chávez made the magnanimous, but politically imprudent, gesture of pardoning the golpistas, who are still trying to achieve by extra-parliamentary means what they have been unable to realize democratically.